Long shawl with tassles. 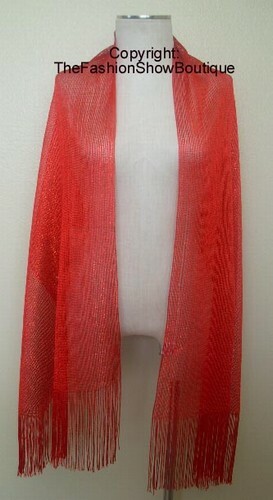 Red shimmery fabric. Approx. 76" long and 18" wide. 75% rayon, 25% polyester. Hand wash in cold water. Imported.